NSU Art Museum Fort Lauderdale will present an exhibition of 25 pivotal photographs by artist David Levinthal (b. 1949), whose work is a commentary on American popular culture, icons and ideologies. The photographs were part of a recent gift to NSU Art Museum by New York collector and film producer Donald Rosenfeld. The exhibition is part of the Museum’s Modern Mythologies exhibition series that explores the power of myths in contemporary times. David Levinthal: Recent Acquisitions will be on view from February 12 through October 8, 2017. As a graduate student at Yale in 1972, Levinthal began constructing miniature environments with toy figures, which he then photographed using dramatic lighting and angles to create highly charged dramatic scenes. Levinthal’s work became an important influence on Pictures Generation artists such as Cindy Sherman, Laurie Simmons and Richard Prince, who came onto the art scene in the late 1970s and whose work incorporated popular imagery and mass media. “These seminal works by David Levinthal augment the museum’s contemporary art collection with its focus on Pictures Generation artists to the present,” states Bonnie Clearwater. The exhibition will include Levinthal’s series of photographs of toy cowboys and soldiers created at Yale, on view for the first time since his thesis exhibition, along with photographs from his well-known Modern Romance series in which he used isolated tiny doll figurines to create melodramatic mises-en-scéne reminiscent of Edward Hopper paintings and film noir. His work explores the ambiguities between illusion and fact as well as the role photography has traditionally played as an objective, documentary medium. David Leventhal: Recent Acquisitions is part of NSU Art Museum’s Modern Mythologies exhibition series. It runs concurrently with two other exhibitions in the series, Catherine Opie: 700 Nimes Road, and José Bedia Fieldwork: Selections from the de la Cruz Collection and the Artist. It will be followed by the exhibition Human Animals: The Art of Cobra. These exhibitions represent the persistence of myths, whether ancient or drawn from Hollywood and the Golden Age of television, to provide narratives that help explain the mysteries of life and existence. David Leventhal was born in San Francisco, CA and lives and works in New York. He received his undergraduate degree in studio art from Stanford University and MFA in Photography from Yale University, along with an MA in Management Science from MIT. He has received a National Endowment for the Arts Fellowship and a Guggenheim Fellowship. His work is included in numerous museum collections including the Whitney Museum of American Art, NY; the Museum of Modern, NY; The Metropolitan Museum of Art, NY; The Brooklyn Museum; The Art Institute of Chicago; and Centre Pompidou, Paris. 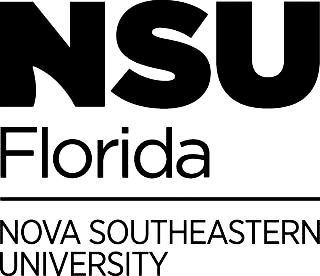 In conjunction with his NSU Art Museum exhibition, Levinthal will be conducting workshops with several hundred students from Broward County Public Schools as part of the Museum’s Museum on the Move education outreach program.